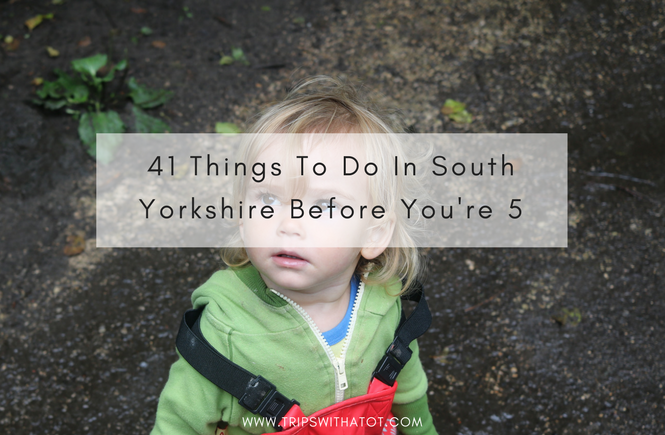 If you’re looking for things to do with kids in Sheffield and the surrounding areas of South Yorkshire then look no further. Go through this list, find your favourites as you go and enjoy some of the very best days out in the UK. Don’t forget you can get even more quick ideas with this 57 free days out checklist! 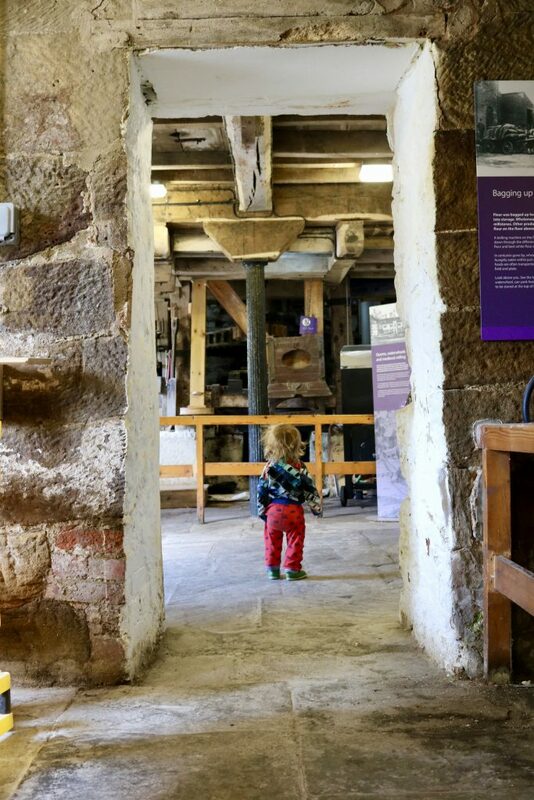 Go explore around Kelham Island Museum where you can learn all about the history of Sheffield steel industries. 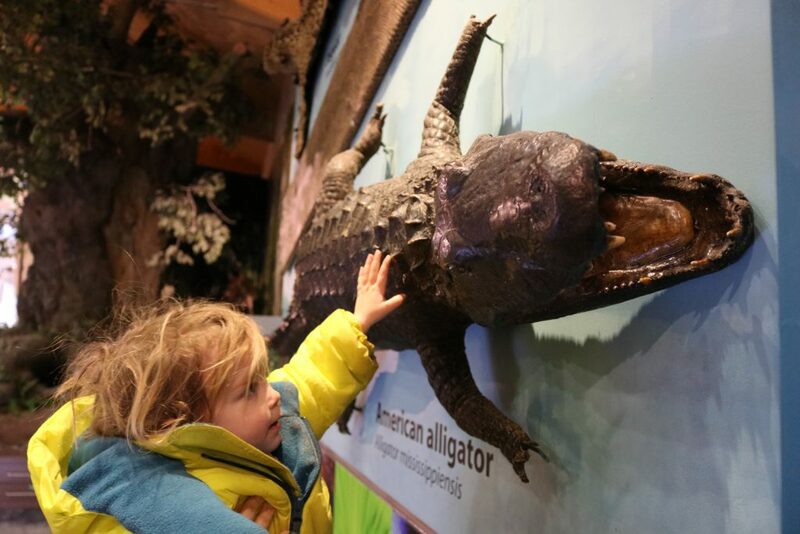 Kids can run around getting involved by touching, feeling and playing with exhibitions. 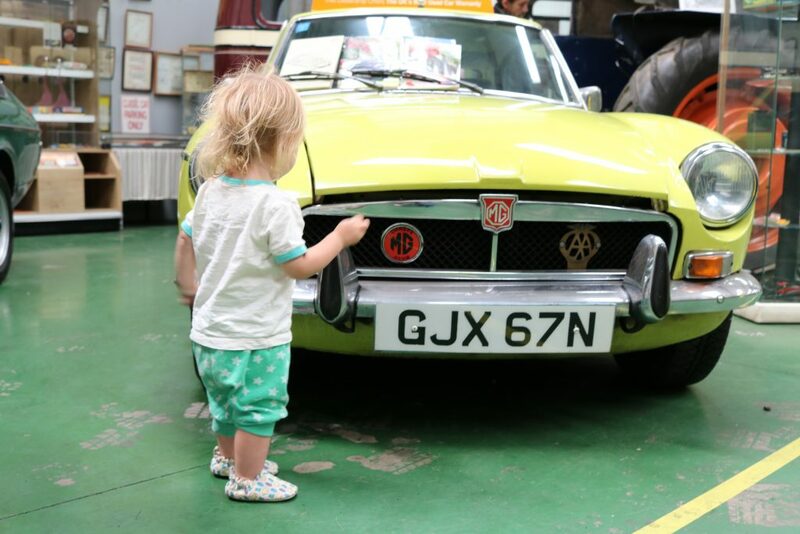 There’s hands on things to discover in each gallery, retro cars on the top floor and a lovely victorian street to explore. 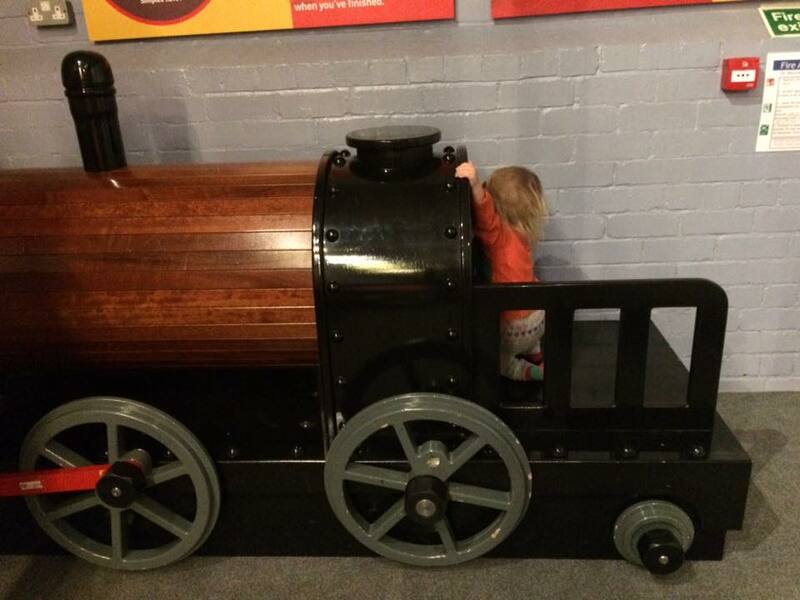 Don’t miss the cute little indoor play area with a slide, ball pit and buildable steam train. Great fun! There’s a cafe, toilets and picnic area. Note: not open on Saturdays. FREE admission to Weston Park Museum. Can you find the big polar bear? Build an igloo? Make sure to investigate all the bugs and open all the drawers! Discover the cave, open the kitchen cabinets, read a book and much more. The museum has cafe & picnic room upstairs; fantastic for colder months. Make more of your visit by going to see the ducks afterwards, just next to the museum and wander around on the bridges… great fun for a toddler. Crookes Valley Park behind it has good playground and a restaurant/cafe. 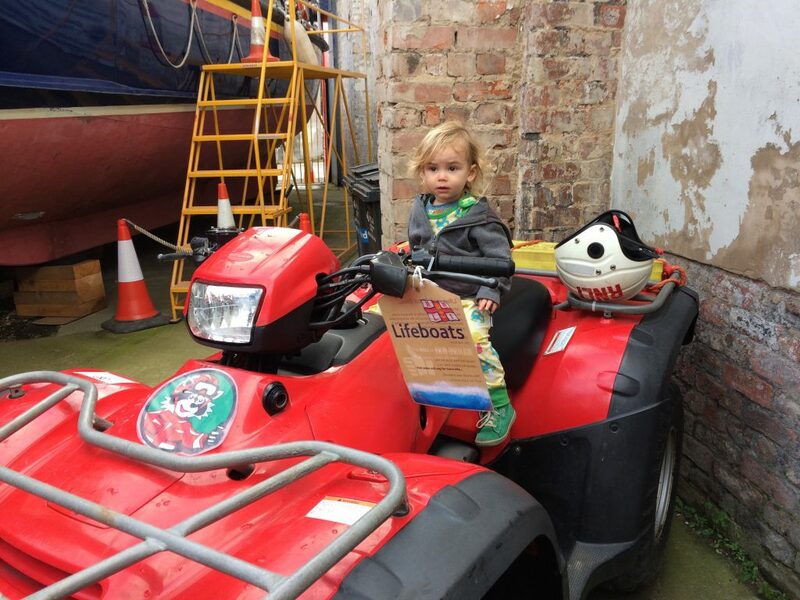 Don’t forget to have fun at their FREE Friday Under 5’s sessions! Get a free trail here. Sit in an ambulance at National Emergency Services Museum! Annual passes if you gift aid. The outside yard is amazing interactive fun where little & big kids can sit in real emergency vehicles. There’s big galleries full of things to see and dress up. Definitely go inside an ambulance and run around hiding behind the big riot vans! Small cafe & gift shop inside and just 5 mins from city centre. 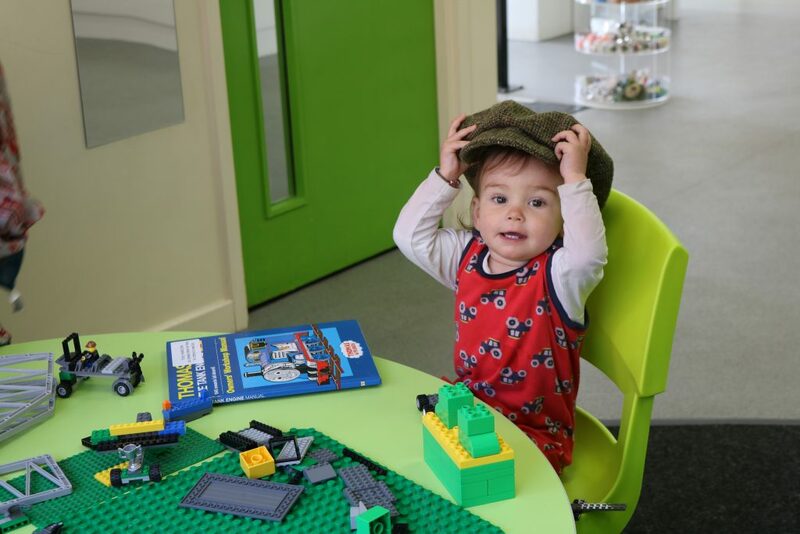 Do some dress up and lego building at Elsecar Heritage Centre Museum; FREE in Barnsley! 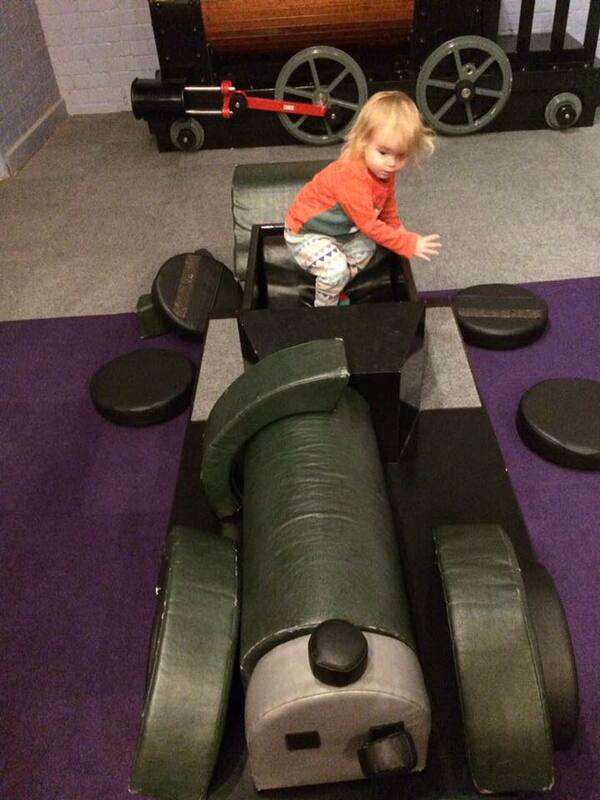 Plus the heritage centre is a good, safe place for toddlers to run around and explore. Old cobbled streets with no traffic, cute little cafes, gift shop, antique shop. See old heritage steam trains at Elsecar Heritage Railway (or ride one on open days!). 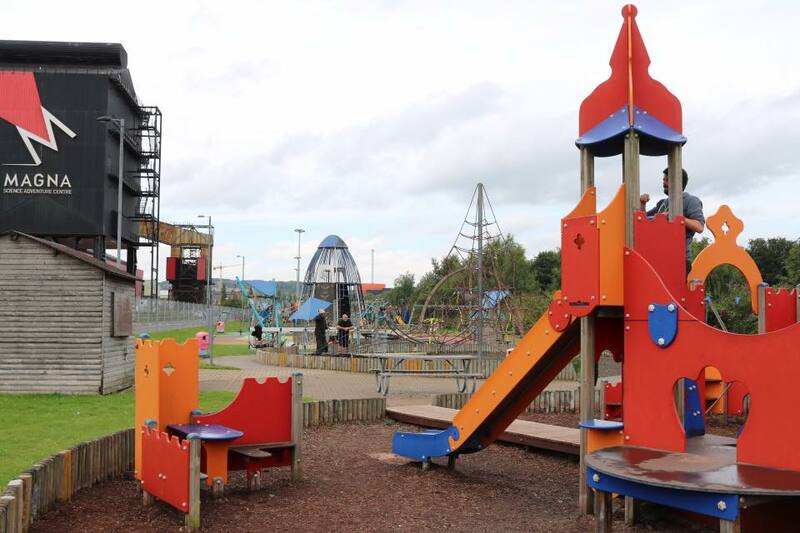 Have lots of indoor play centre fun at Playmania, and visit Elsecar Park which has a really great playground and cafe. This museum is FREE & only 5 mins walk from the train station. 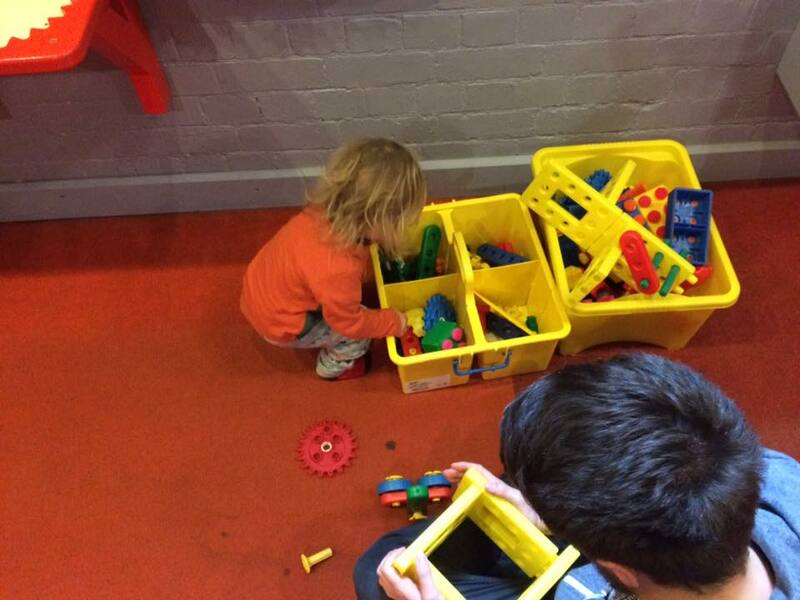 Throughout the museum are lots of interactive areas and things to play with, build or dress up. In the back room are some old (real) vintage fun fair cars and carousal horse, along with a play shop for ice cream. We love it, very interactive and worth a visit. Plus Cooper Gallery is just across the road. There is a library and cafe in the same building. Formerly the Sheffield Bus Museum, this transport museum is small but FULL of transport vehicles. Only open on specific open days, but very much worth a visit if you/your LO’s love buses and cars. 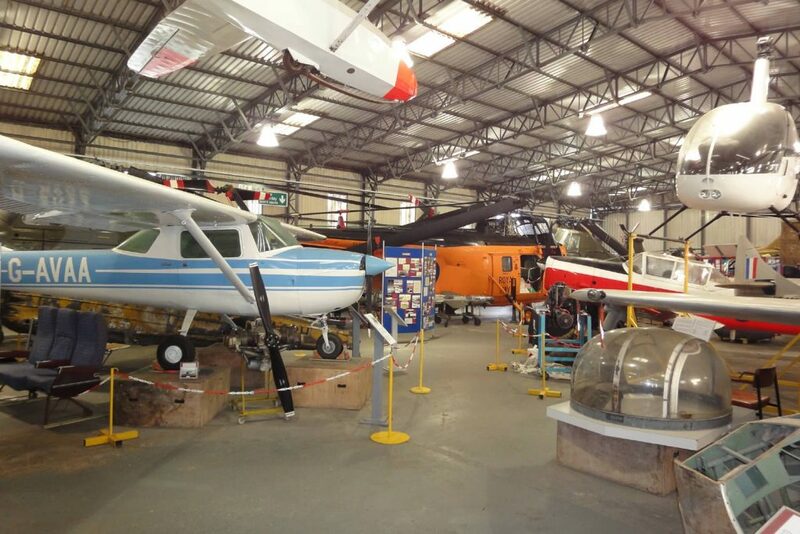 The museum is jam packed full of vintage vehicles, all shapes and sizes, a few of them you can go inside. You must take a camera! The open days are usually on the first Sunday of every month, but check the dates here. Old vintage shuttle bus rides from Rotherham bus station to the museum run on hourly schedules. Museum is open daily during the summer and tuesday-friday in winter months. Location is great; lots to do in the area including Doncaster Dome and Lakeside. Worsborough Mill is a 17th century working water mill set in 240 acres of tranquil Country Park. Learn about the history of Worsborough Mill at the free museum and see how flour is made. Then have fun in the playground and do a lovely walk around in the country park. All FREE and really lovely place for a day out. There is a really nice cafe, too. Museum Alfred Denny is part of the University of Sheffield, and is open to the public for tours on the first Saturday of every month. The museum is very small but full of interesting specimens, fossils and displays. Highlights are “major phyla including fossils and material of extinct animals and a large spirit collection (animals stored in alcohol) and fully articulated skeletons of a wide range of vertebrates (backboned animals)”. The museum was first established in 1905. 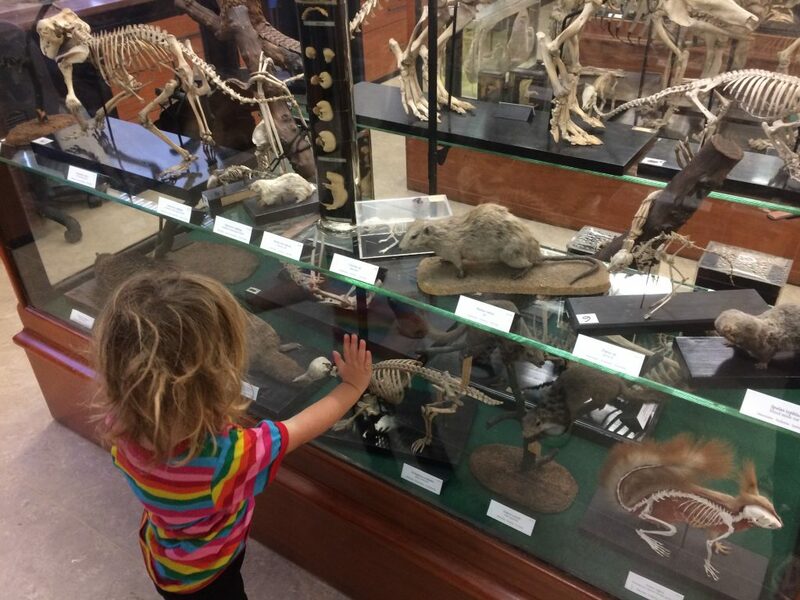 It’s a little hidden gem and although toddlers won’t necessarily understand the tour, seeing all the skeletons is fun enough! Eric loved toking through the glass at all the interesting jars, specimens and learning the names of the animals. Tours are free and I highly recommend it for something a bit different. Kiddy Winx Play Cafe is a play centre in Thurscoe with a difference. Dedicated to children under 5, there is a special area full of wonderful role play and wooden toys. The role play toys are high quality and interesting with puzzles, interactive toys and imaginary stations such as a shops, bakery and dress up. Great cafe with homemade treats and lovely staff. See photos of what my toddler played with here. 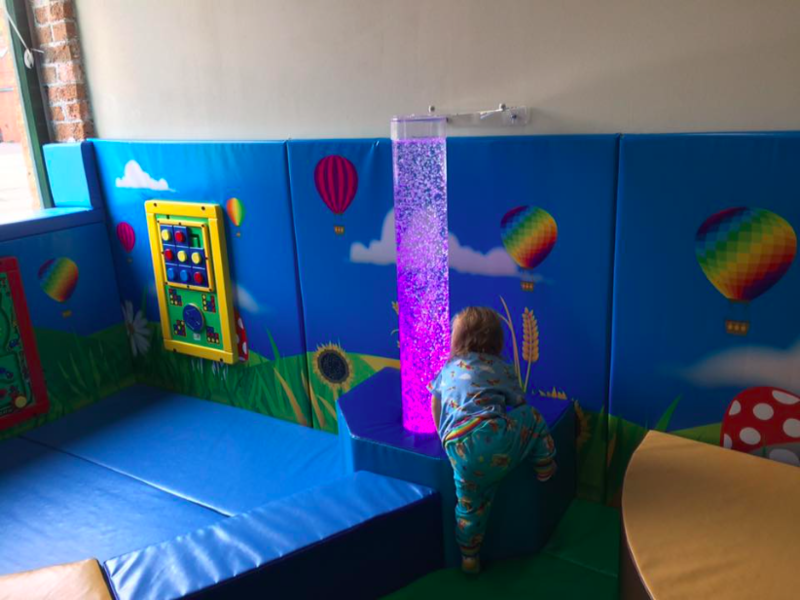 Have lots of fun at Playmania Barnsley, with a dedicated toddler zone and sensory equipment, plus they have a busy calendar with events, character breakfasts and much more! Big Apple Play City is a big play centre in Rotherham suitable for up to 14 years old. It’s really fun! It’s clean, big and cafe serving hot food. There’s a separate toddler area to the side, and a baby sensory room with some real fish and bubble tank, bean bags, etc., all included in entry. It can get very busy, though! Monkey Bizness in Centertainment is another big soft play and is in Sheffield Centertainment complex. We really like this one! There’s good, big play frames with tunnels, ropes and slides. To the side is a separate toddler area with ball pit, small slides & walkers., etc. Toddler discounted prices available before 12 on weekdays, with craft activity! 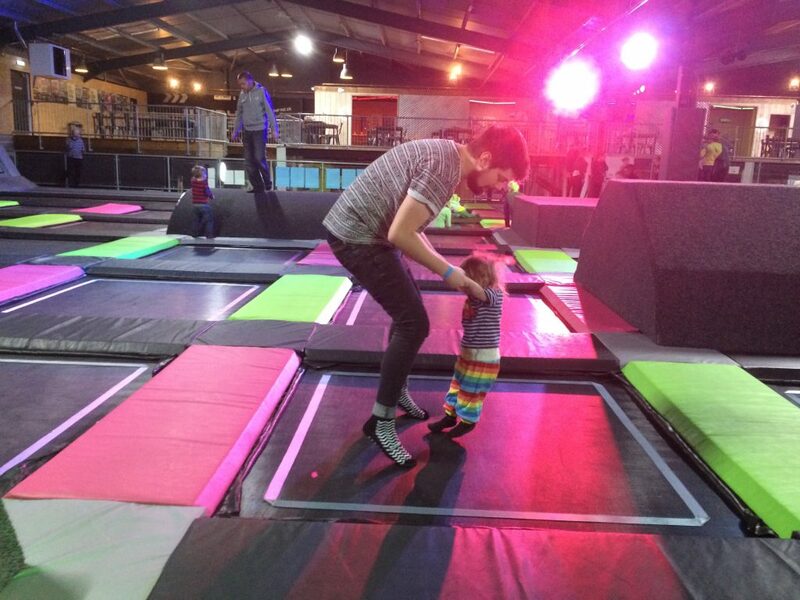 The new Playmania Sheffield is great for little ones, especially for toddlers. 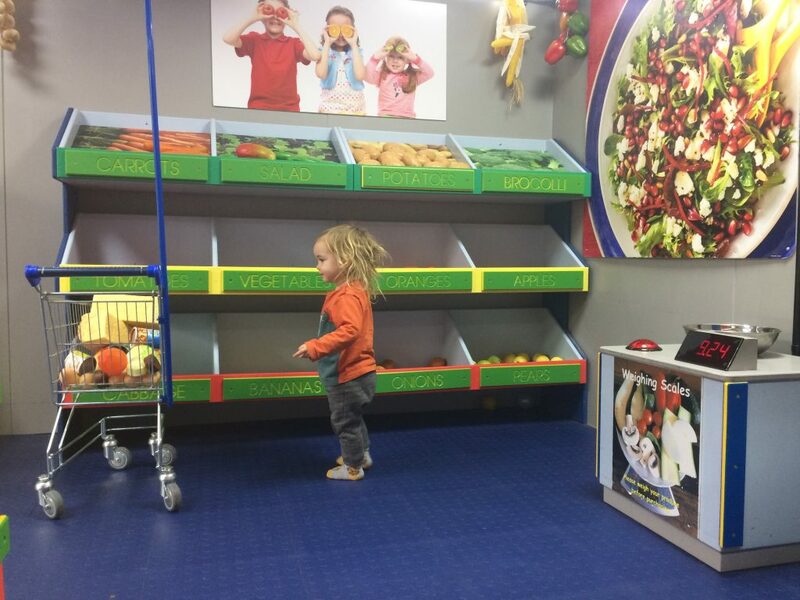 This new play centre features something completely new: a big role play garage and supermarket to pretend play in with check outs, supermarket trolleys and pretend food! The play frame with slide with small so you can keep an eye on your kids, and there is a separate smaller baby area. A great food menu is available with vegan options. A popular indoor play centre is Big Tops Play Centre in Dinnington. This large play centre has lots to do with a variety of play frames, equipment and interactive play area. 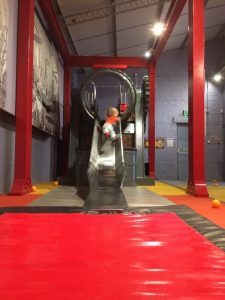 Medieval Mayhem is Sheffield’s newest, biggest and most adventurous indoor play area. Proving to be incredibly popular since opening in early 2018. Big play areas, dedicated toddler area, daily free activities, big slides, good events, home cooked food and more. 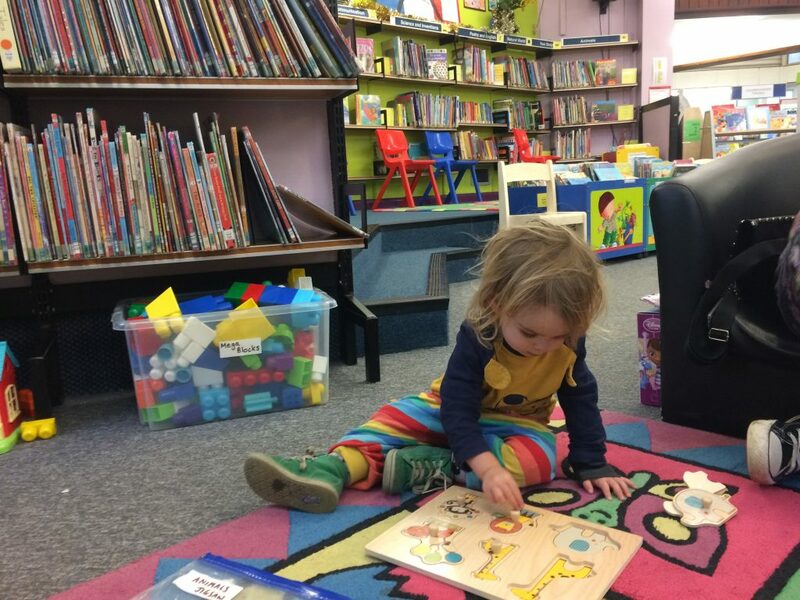 Play in your local children’s library. These are lovely and free places for little ones to play, learn, read and socialise with other little ones. Most have children’s toys and FREE story time sessions (check here). Park Library in S2 is fantastic, plus we like Totley Library, Walkley Library, Hillsborough Library and Central Library. 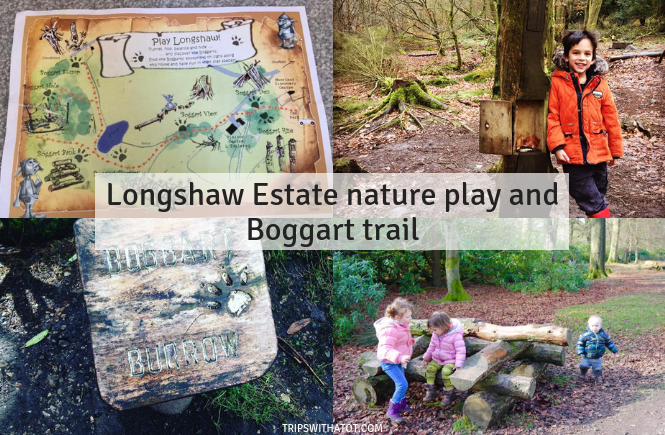 Go Boggart hunting at Longshaw Estate (S11 7TZ), in the Peak District but still within Sheffield boundaries. Easy to get to by bus and is a FREE National Trust site. Cafe, toilets, boggart trail, things for kids to find and get dirty with! It’s a beautiful space with a variety of woodlands and open big spaces, rolling hills and Peak District views. 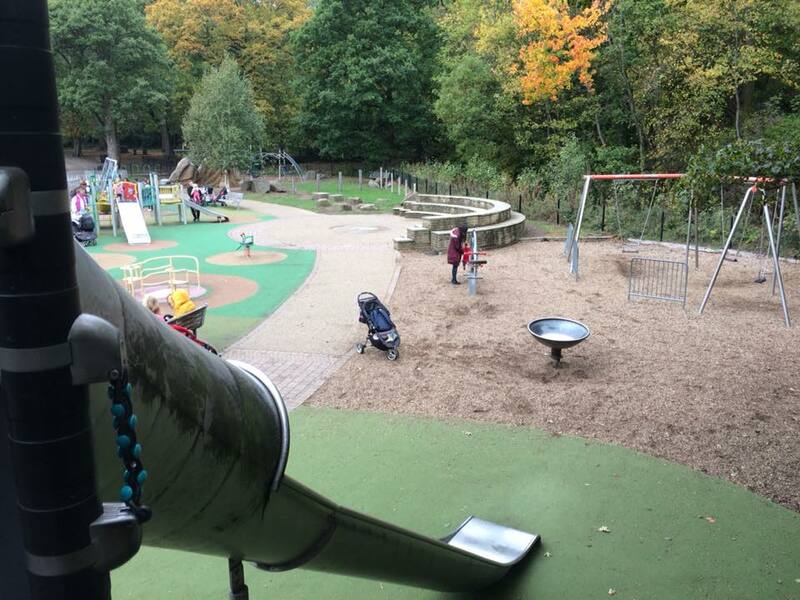 Sheffield is GREAT for good playgrounds! 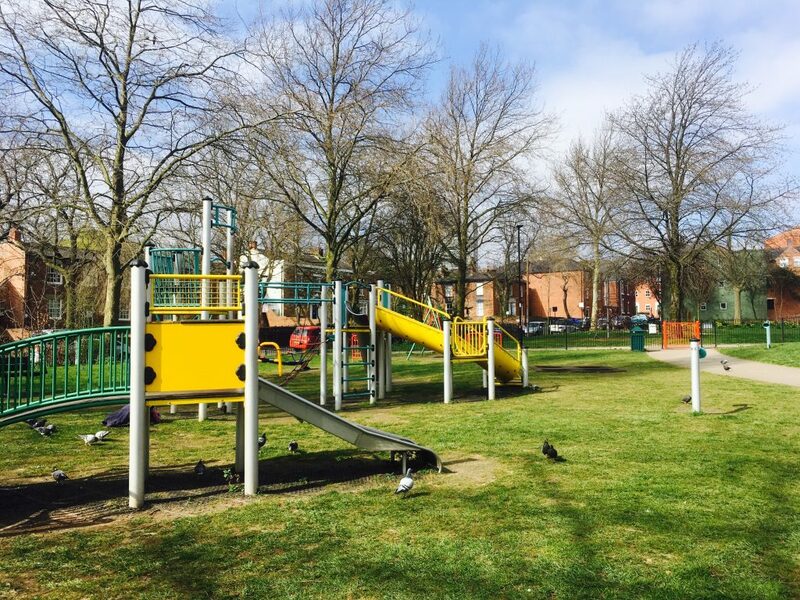 Enjoy all of Sheffield’s top 5 playgrounds! 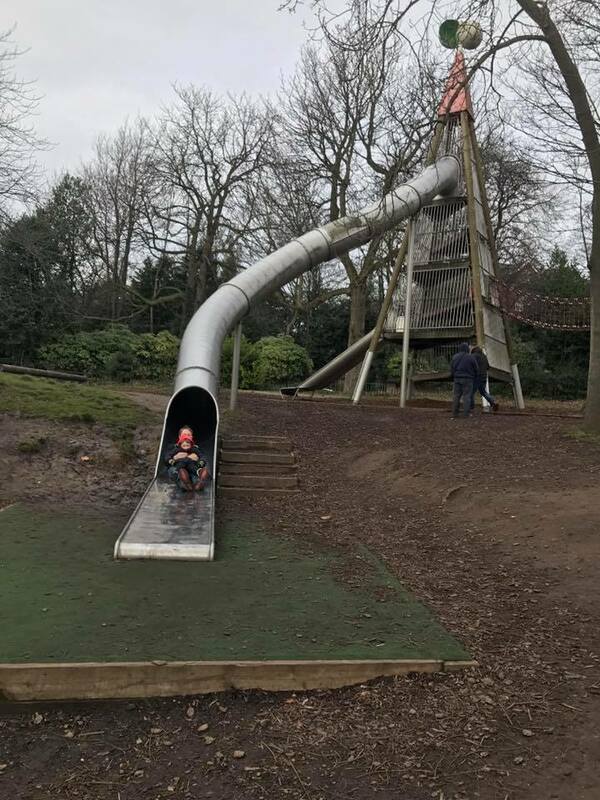 Can you go on ALL the slides?! Or perhaps you need to find even more playgrounds, then browse this megalist or find this hidden playground. 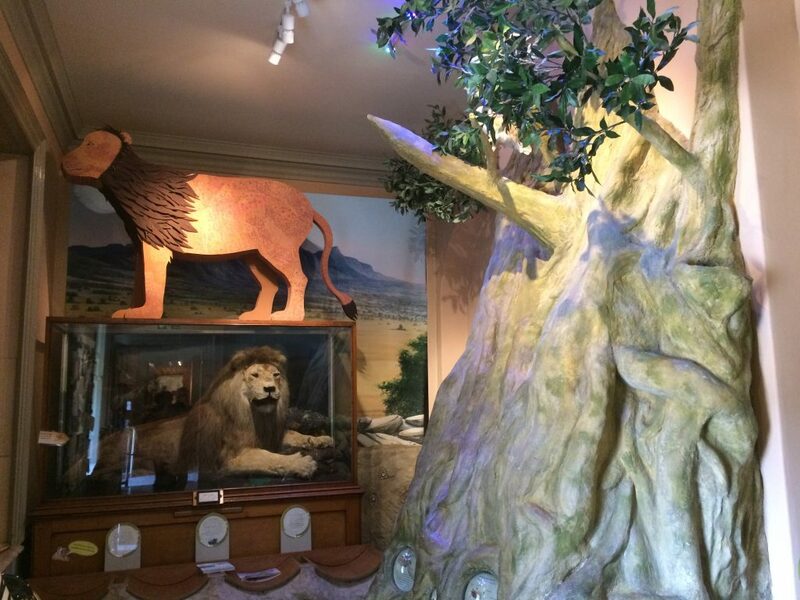 Have a day out at Clifton Park & Museum in Rotherham. There’s LOTS going on for free. Adventure playgrounds, water splash and fountains, picnic areas, fab little museum with interactive bits/things to play with, rock garden, and for extra cost there’s land train, funfair and mini golf. Did you know there’s a fantastic miniature railway in Sheffield?! When Abbeydale Miniature Railway is open you MUST go & have a ride! Abbeydale Miniature Railway site is the Sheffield & District Society of Model & Experimental Engineers Ltd.. A not-for-profit model engineering society fully run by volunteers. All revenue goes to maintaining the railway and the club’s facilities, or is donated to charity. Entry is free and tickets for rides are £1.50 for any age. 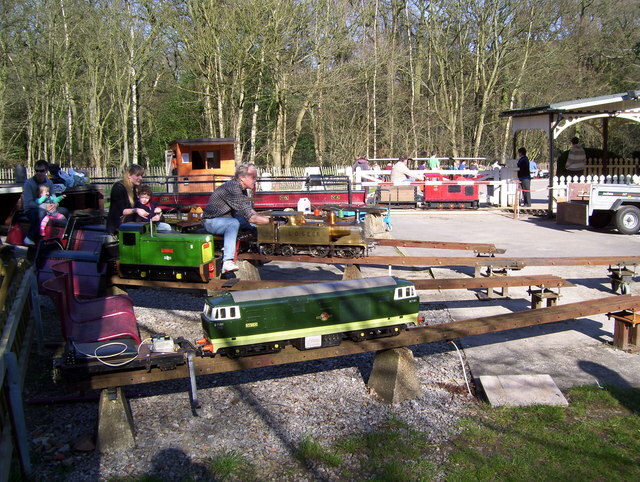 Abbeydale Miniature Railway is open on selected dates throughout the year, usually on Sundays. Check the timetable here. Take a picnic, change for the tickets and any refreshments. 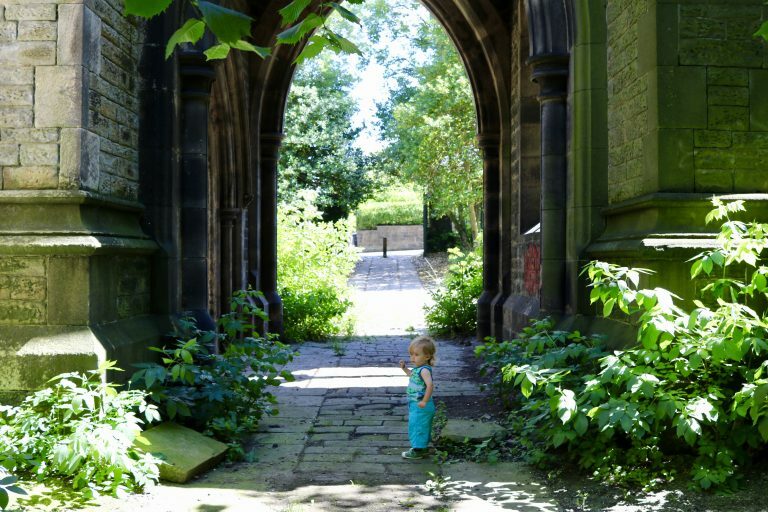 It’s free to get in to Sheffield General Cemetery and explore there… definitely a great place for bug hunting and there’s an open park space for a picnic. It’s a very interesting, and eerie place only 1 mile from Sheffield city centre. It’s not your usual place for an adventure is what you’re probably thinking, but it’s a hidden gem. Open all day, every day and pushchair friendly, I think you’ll like it as an alternative to the usual park. Find 10 monuments, 9 buildings & places of interest, participate in a seasonal event or tour, or simply enjoy looking around. Discover the world of science adventure at Magna. The outside play areas at Magna Science adventure Centre are pretty amazing; you have to check out Aqua-Tek and Sci-Tek. Magna is an indoor and outdoor attraction, with 4 zones inside to explore. The outdoor areas are by far the best thing for toddlers, though. 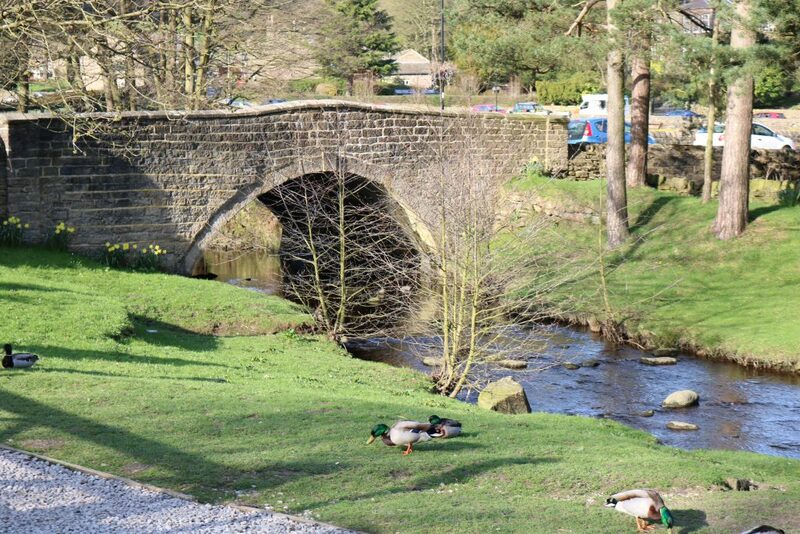 Low Bradfield is a beautiful little village in S6, feels like you’re right in the middle of the countryside. There is a public car park at ‘The Sands’ and buses 61 & 62 go there. In warm months, go paddling in the water around Low Bradfield; or find a “beach” at Damflask Reservoir! The village playground next to the bowling green is small but fine for toddlers to have fun. 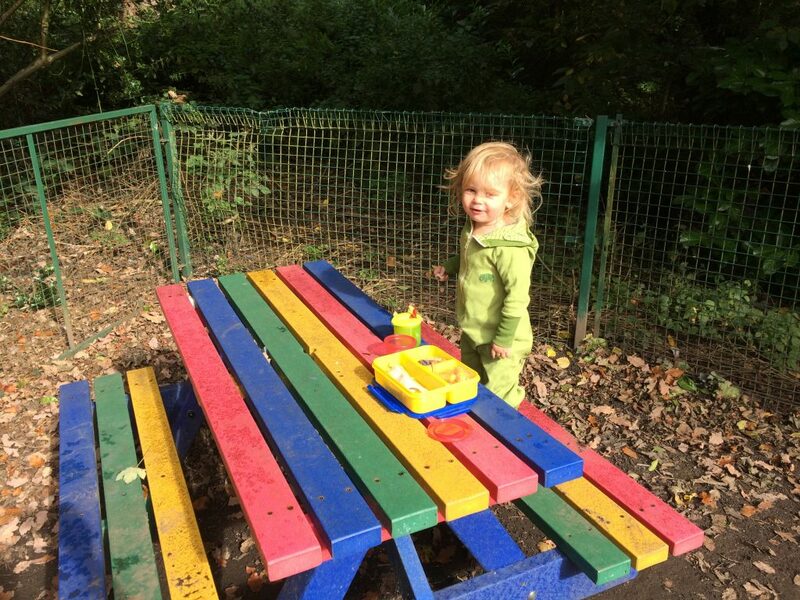 The School Rooms Deli has a lovely cafe with outdoor play area and usually a bouncy castle. The Plough pub is a popular family friendly option for food and has a beer garden. We love Botanical Gardens. There’s 5,000 species of plants in 19 acres of land, flat paths, a nice cafe and lovely nature play spots for children. Find the bear pit, Peter Pan statue and spot all the friendly squirrels! They’re very friendly and might jump out at you. 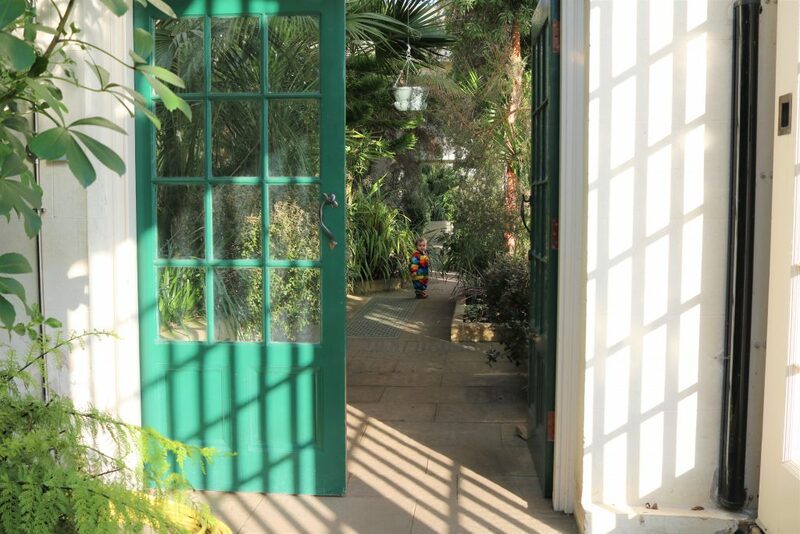 The glass houses are nice for a little wander through looking at all the different plants. Plus shelter from a cold and wet day. We’re a big fan of the lovely toy shop there, too. Sheffield is very close (and 1/3 in!) 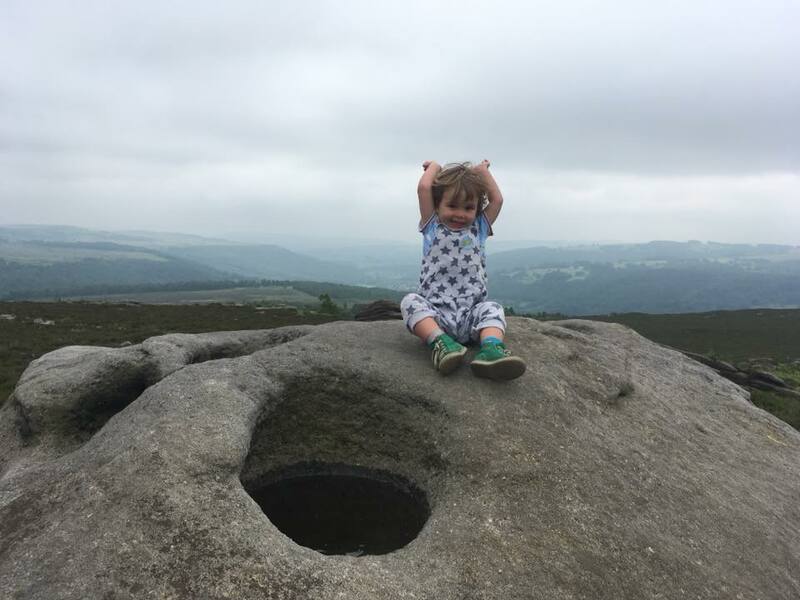 the rest of the Peak District so why not go on a countryside adventure at Surprise view, and have a gentle climb up to rocks to mother cap with a picnic at the top. Lovely views up there. Get lost down in Bolehill Quarry where the fairies live! There’s always sheep down there who might like to join in. Or have fun in the lovely village playground in Hathersage behind the outdoor pool. Jump on the train to Grindleford where you can have some lovely hot chips and hot drinks from station before going off to explore in the peaks. You can walk to Padley Gorge through the woodlands and quarry, a walk I really would recommend. Take a picnic and tuck in once you finish the walk! 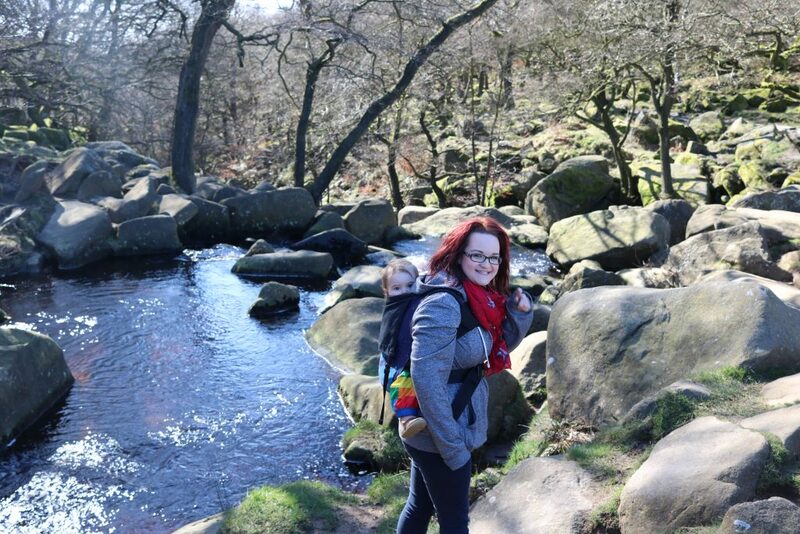 Paddling at Padley Gorge is a MUST! Don’t forget your bucket and spade. Find the rainbow picnic bench at Forge Dam! 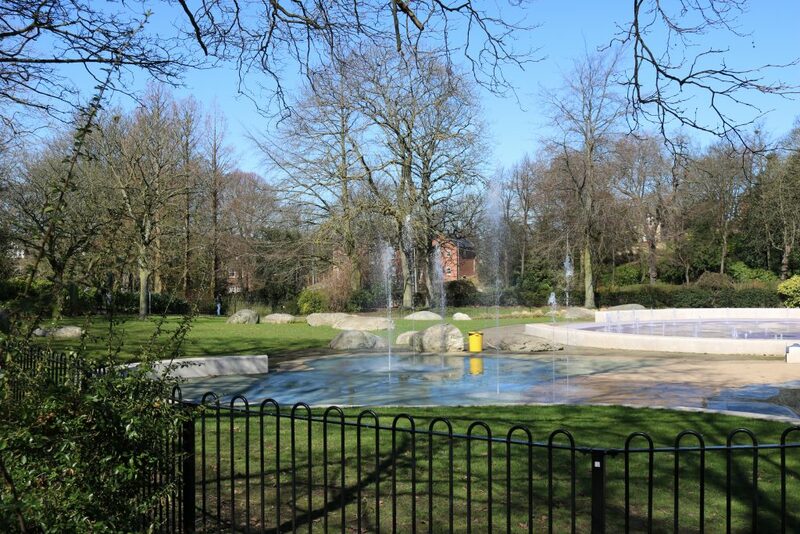 It’s a lovely park in Sheffield, Fulwood area S11. 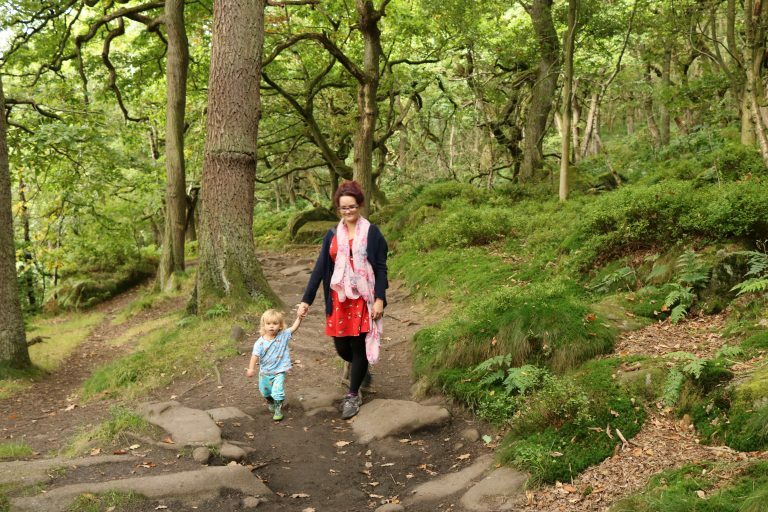 One of the BEST walks in Sheffield for families is walking from Forge Dam to Endcliffe Park, so make sure you do that! Forge Dam Cafe is a must for lovely homemade food and drinks with outdoor seating and ice creams in the summer… it is very popular. I recommend buy duck food from the cafe & go up to see the ducks up the slope in front of the cafe. There’s a playground, woodland walks, trails, mud and paddling opportunities. Kids love it. You can manage a push chair, too. 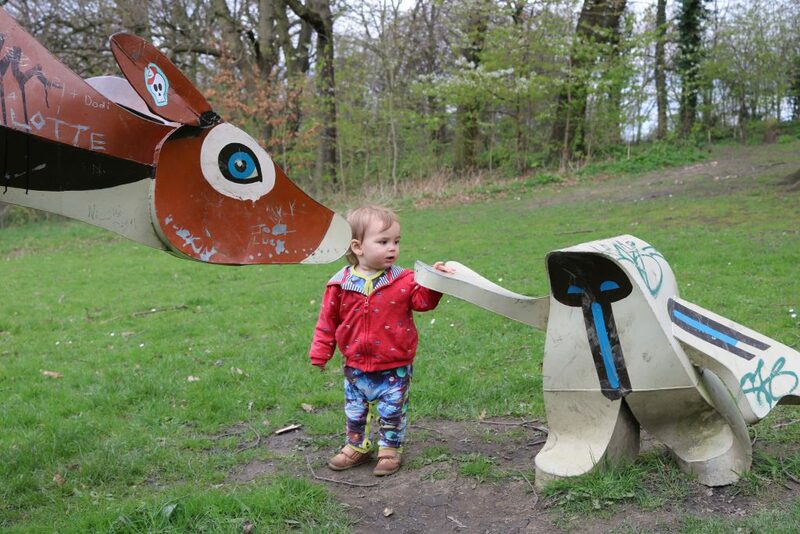 Have a woodland walk through the ancient woods “Jarvis Lum” at once of Sheffield’s older parks: Norfolk Heritage park and find the little sculptures in the woods. 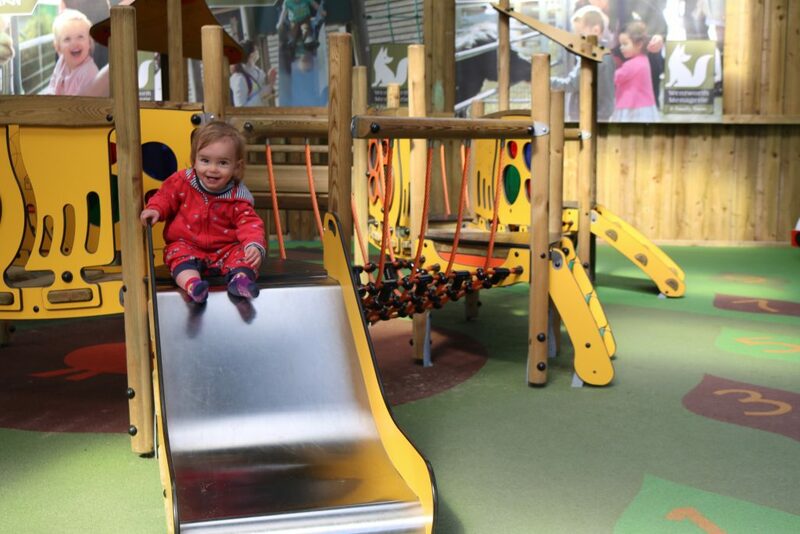 Try out the fantastic new adventure playgrounds, which are some of the best in Sheffield and renovated in 2018. There is a cafe, indoor warm and clean toilets, plus great central location to the city centre. 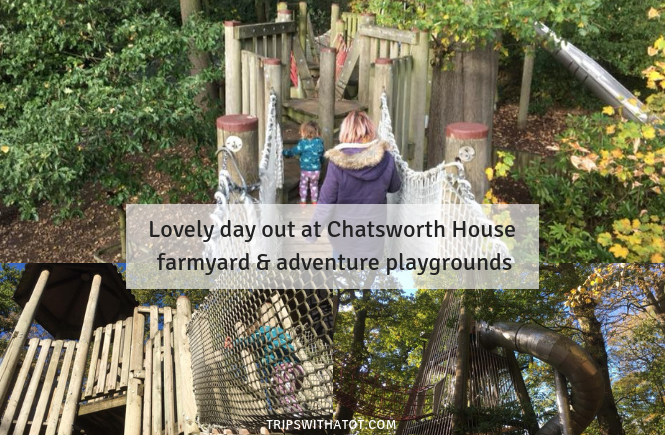 Chatsworth House in Derbyshire, not South Yorkshire but is a popular day out for families in Sheffield and one of our favourites so I just had to include it here. The farmyard and adventure playgrounds are so much fun. 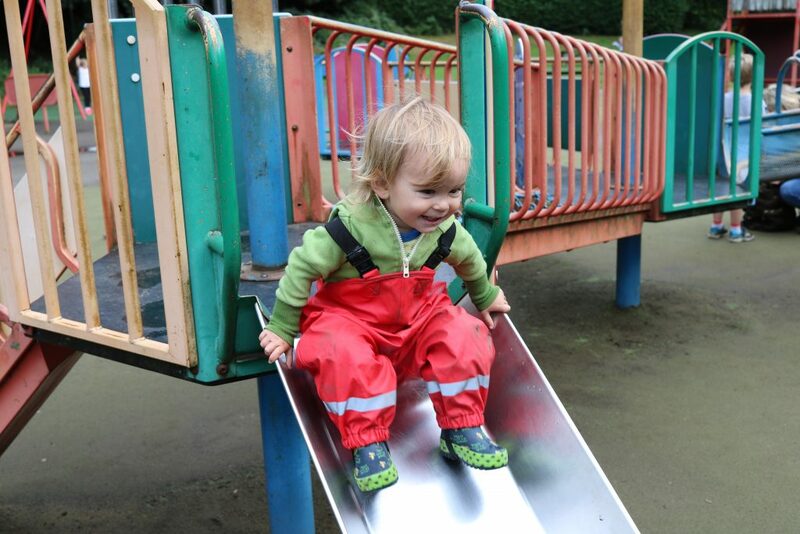 Nature play, big slides, climbing frames sandpits, animals & tractors. You can’t go wrong! Do go for a walk in stand wood and around the estate (free) to appreciate the great outdoors! Chatsworth gardens are amazing and really worth a visit. And, nearby in Baslow has great family friendly pubs one with a play area. Rivelin Valley Park is one of the best parks in Sheffield and a good, free day out. In Sumer, have fun splashing in the paddling pools at Rivelin Valley Water Park, FREE and fantastic day out! There’s a playground, nature trail in the woods, old water wheels to find, nature and ducks, playground and Pudding Ladies cafe. 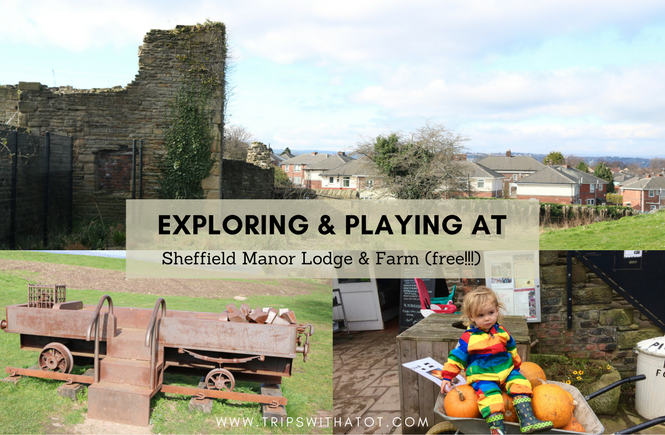 Sheffield Manor Lodge and farm is a hidden gem and really lovely. It’s free to go explore the grounds, but if the manor lodge is open there is a whole day out to be had. It’s small but for just a small admission fee of a couple of quid, which gets you into the visitors centre, then out into the ruins to explore… it’s a big space where you can just let lose and have fun in the maze, sand pit and old ruins. It’s a nice space for outdoor play right in the city, just a stones throw away from the city centre. A stroll down from the lodge will take you to Manor Farm; a small farm (Free) to explore plus fantastic cafe at The Rhubarb Shed Cafe... the best this is that there’s lots of outdoor seating and a toy shed so you can enjoy a hot drink whilst kids play. Go and see the boats on the canal at Sheffield Victoria Quays, and in the summer, why not take a picnic, feed the ducks and look at the boats? Emmaus charity shop superstore is just 10 minutes away and there’s goats there! Did you know that Sheffield is a very magical place, full of mythical creatures, fairies, trolls and beasts? You can find them lurking in these lovely places. Ecclesall Woods is the largest ancient woodlands in Sheffield and a brilliant place to connect with nature, climb trees and get lost. Woodland Coffee Stop, S7 2QZ has brilliant cakes and is the perfect pit stop in the woods. There’s so much to do at Cannon Hall Farm in Barnsley S75 4AT. Award winning family attraction with absolutely loads going on. Farm barns and animals, outside playgrounds and play areas, tunnels, cafe, restaurant & large inside play centre, which is very popular. Big events all year for all the seasonal fun. Feed the animals at Aston Springs Farm, S26 5PQ. It has a woodland farm trail where you can walk around, finding and feeding animals on the way. Do wear wellies to enjoy the mud! After the trail, see the small inside animal barn with rabbits, guinea pigs, Meer Kats and more. There’s two options for food with FRESH pizza and indoor play corner at The Tack Barn or large menu at the Aston Springs Restaurant. Also has farm shop & paint a pot studio. Out in the fields, take a stroll around Mayfield Alpacas Animal Park, S10 4LH which is near Forge dam and has an animal trail… with, of course, alpacas! 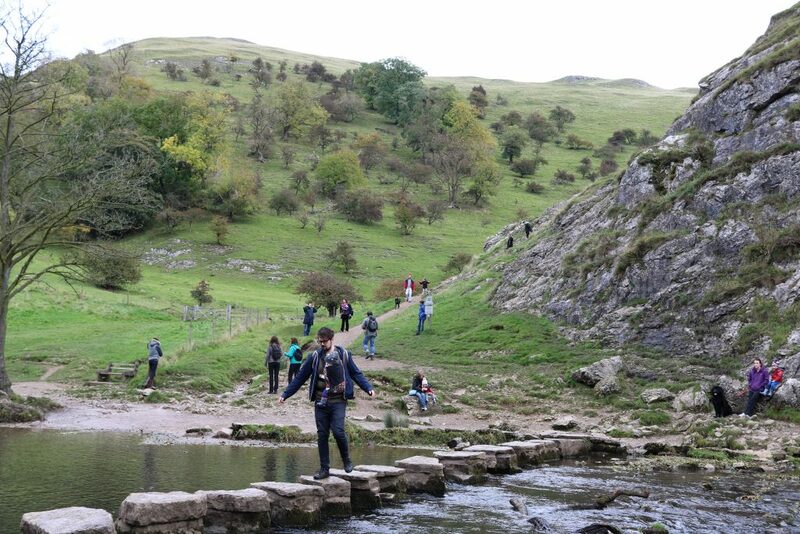 A cafe, indoor animal centre and beautiful walking opportunities out near the peaks. 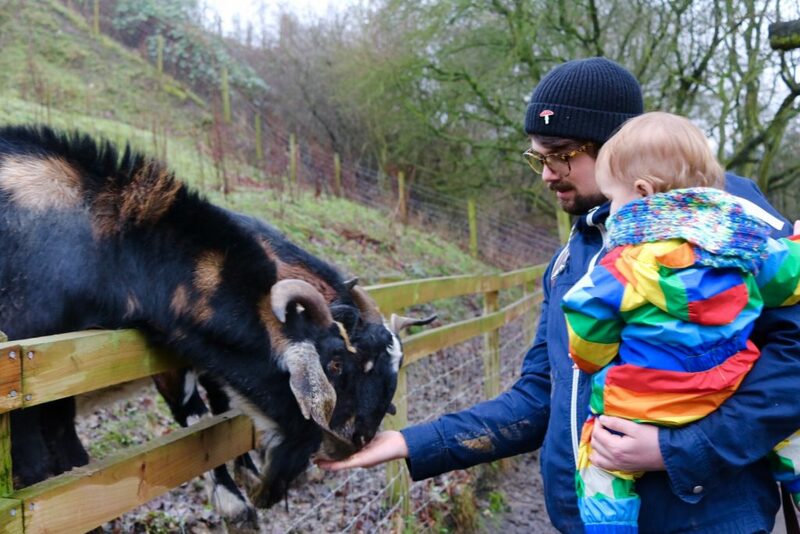 FREE visit to Heeley City Farm in Sheffield. This is good to kill an hour or so seeing some animals & having a wander round. Food at the cafe is a must & cafe very child friendly (it has toys and a tractor ride). Good park opposite with Heeley People’s Park; great playgrounds. Have a FREE day out Graves Park Animal Farm in Sheffield S8. Graves Park is Sheffield largest park. Decent sized free farm so kids to see animals at their own pace with open spaces, and then a large playground with sandpits for fun, woohoo. Cafe, ducks, parking and woodland walks. Psssst, there’s even a hidden playground. 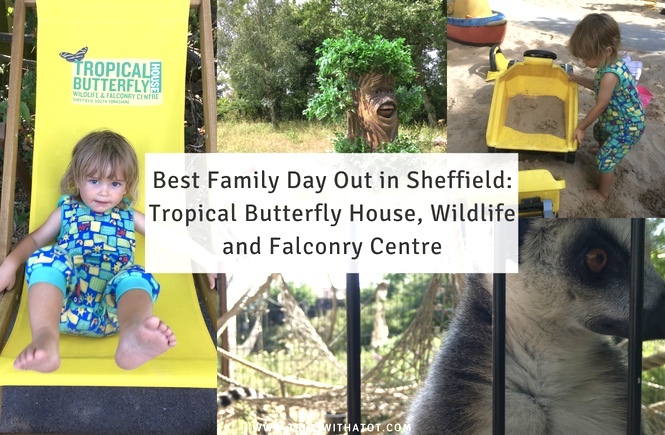 Have loaaaads of fun at Sheffield’s top attraction and our favourite day out, Tropical Butterfly House, Wildlife and Falconry Centre, it has something for everyone. Every time we go there is something new there. You’ll find a nice wooden playground, go-karts, ride-ons, under 5’s little tikes play areas and sand, water play zone for summer, indoor tropical butterfly house with reptiles and small animals, farm animal barn, lemur house, animal encounters, aviary, Dino trail, and lots more animals to see! 2 places to eat or take your own. Fantastic place, very clean and modern. Yorkshire Wildlife Park in Doncaster is a big zoo, lots of wild animals to see like giraffe’s, monkeys, tigers and polar bears. For food, there’s kiosks and cafes/restaurants and plenty of picnic benches. You can shop, too, in the gift shop village which has a licensed restaurant and outdoor seating. There’s an indoor play area themed like adventure play and multiple outdoor playgrounds. Wentworth Garden Centre in Rotherham is really good for family day out. You can’t go wrong with it for toddlers. You can shop, eat, visit family farm which has 2 playgrounds and tractors and sandpit, new water play area. Explore the beautiful walled gardens, they’re very nice and it’s a little adventure. Wentworth Garden Centre are very well known for their amazing Christmas displays. How about Proove pizza for some yummy pizza!? It’s up in Fulwood serving delicious dough, child friendly and they even do kids pizza parties. There’s a new one at Centertainment and it’s amazing! There’s a lot of vegan/dairy free options, a kids menu and good lunch deal. Gerry’s bakery and coffee house is popular with families who love their fresh treats & coffee. Kids are very welcome and the staff are very friendly. For chains in Sheffield, there’s loads to choose from, such as… Pizza Express, Zizzi, Strada, Wagamama, Wetherspoon, Las Iguanas, and Bill’s. All of these are family friendly, kids menus, changing facilities and high chairs. There’s comfy seats at Couch Campo Lane, tucked away behind Sheffield Cathedral. Kids are welcome and there’s a relaxed atmosphere, with space around tables so it’s fine for wandering little feet. There’s a variety of food and drink with main meals, freak shakes, healthy snacks and hot drinks. 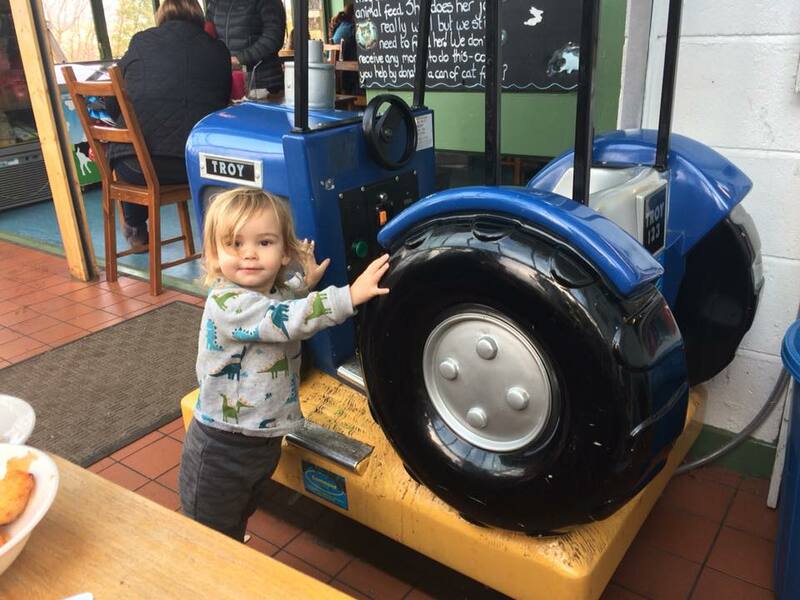 One of our favourites is Heeley City Farm; it has kids toys, lots of vegetarian and vegan fresh food options, and this very attractive tractor! 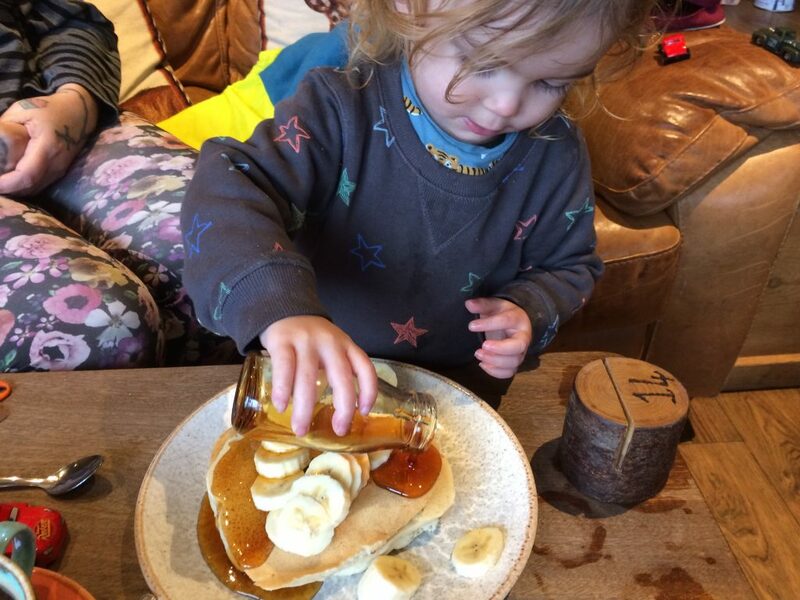 Graze Inn Restaurant & Cowshed Bar is one always a good option for kids. Kids eat free and there’s highchairs, nice friendly staff and good choice of food. Variety of seating with booths or high tables means theres something to suit everyone and the bar area is separate next door for a comfy sofa seat after your meal. We love Five Rivers Coffee Co in Broomhill. Go jumping! It’s so muh fun at JUMP INC UK Trampoline Parks in Rotherham and Sheffield. The trampolines are amazing and adults love it too. There’s toddler only sessions during weekday mornings, which are very good value for money. Or try the new JUMP INcflated at Rotherham Parkgate. Try climbing at The Mini Climbing Works. The baby splash pool which is great for toddlers at Ponds Forge International Sports Centre in the city centre. Another great place for kids to swim in Sheffield is at Hillsborough Leisure Centre with flumes, pirate slide, a “Beach” plus a cafe next to the pool. Go on an exciting day trip! 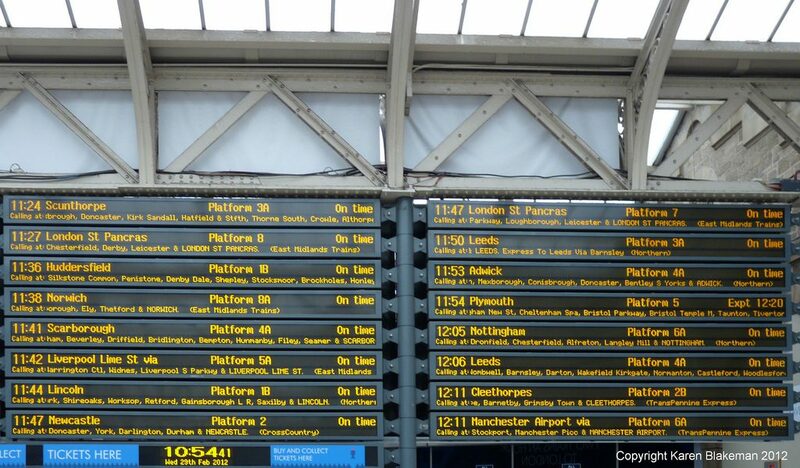 Go on a train ride from Sheffield City Centre! Why not hop on a bus or train and have an adventure?! 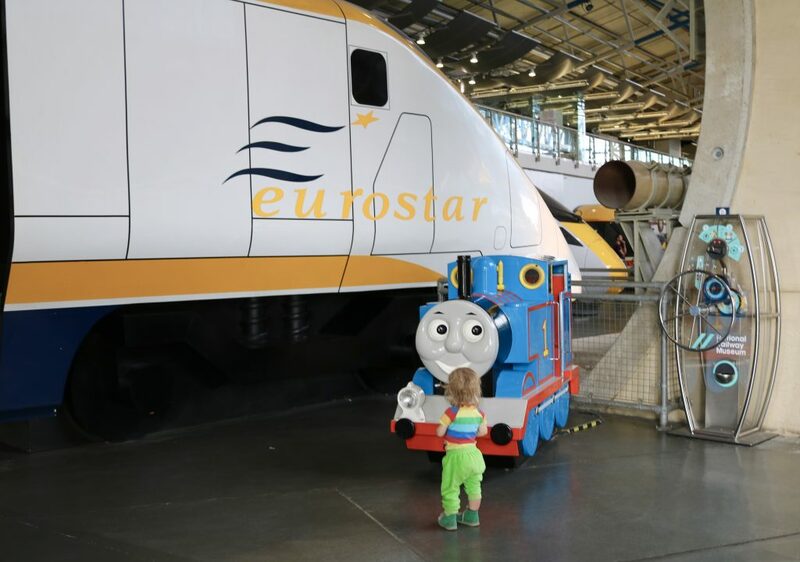 It’s FREE admission to National Railway Museum in York for everyone & this fantastic museum is just behind the train station in York, under a hour away from Sheffield. Loads of trains to see in huge, spacious rooms with tons of space to run around and just enjoy being surrounded by trains. Kids will love the play area. 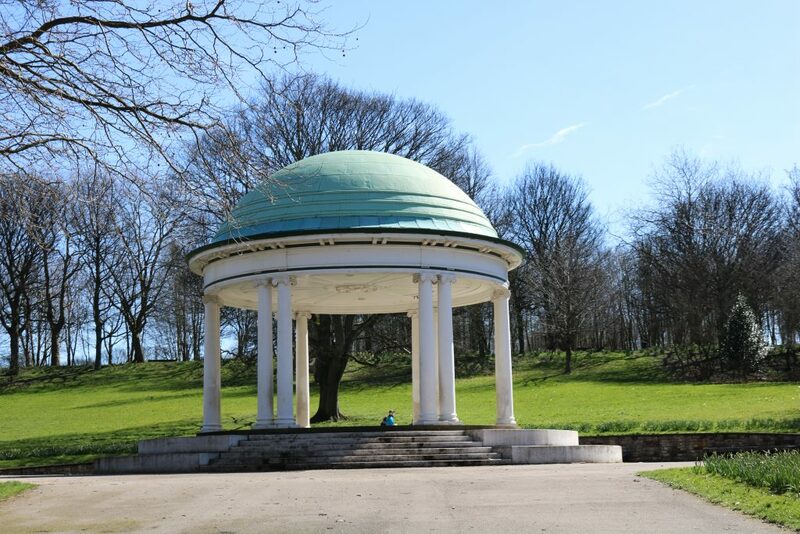 Cafes & picnic spaces available, and don’t forget to ride on the land train to York Minster. Piglets Adventure Farm is a fantastic day out in York, one of the best farm parks I’ve ever been to. Web Adventure and Creepy Crawlies combines indoor and outdoor play, York Museum Gardens is a lovely place to let off steam and find the story telling chair. There is a museum and a library there, too. I loved York Castle Museum, but I did find it a little too old for Eric. DIG! is on our list to visit in York, as in York Chocolate Story and the cat trail. You can catch a FREE boat taxi from the station to the museum (so fun) from Leeds dock to the Royal Armouries. The museum has loads of space in the galleries to wander around after the taxi. 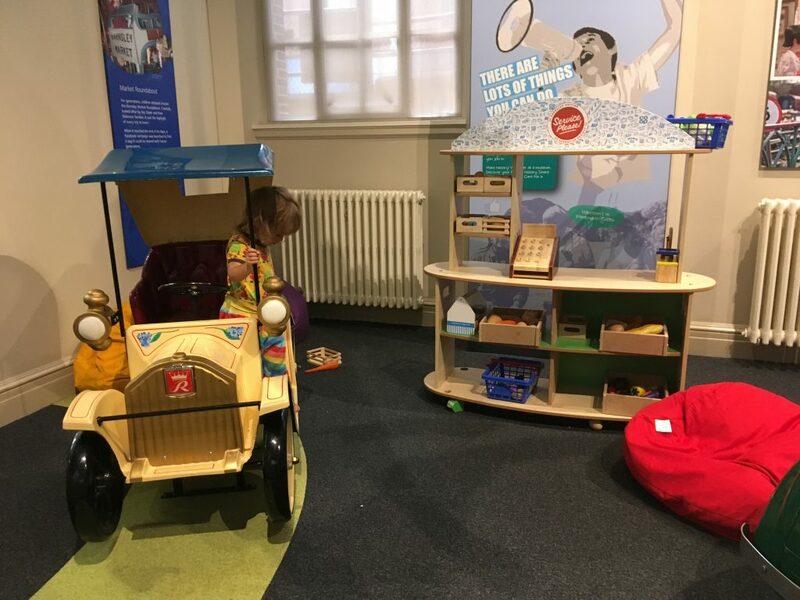 In Leeds city centre you have to visit Leeds city museum which is just so fun for little ones, it’s FREE and won family friendly museum of the year 2018! The indoor play area toddler town is really cute. 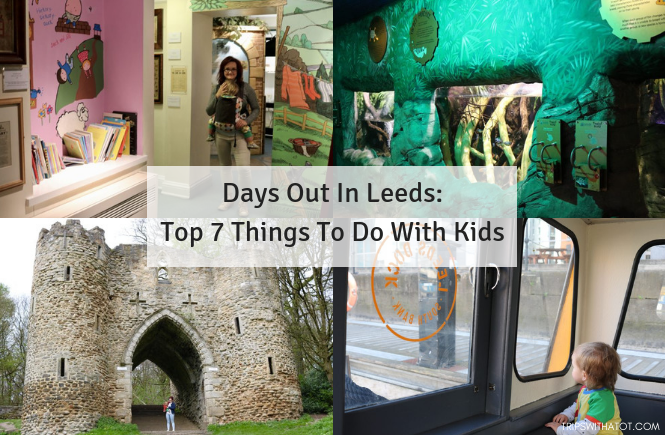 More things to do in Leeds: Tropical World & Roundhay Park, Abbey House Museum, Kirkstall abbey, Thackeray Museum, Lotherton Hall, Harewood House, Rainbow factory. Have the most fun ever at Eureka! The National Children’s Museum in Halifax. Trust me, everyone loves Eureka, from toddlers to adults, it’s amazing with everything is hands on and fun! You can get real stuck in and kids just love being able to run riot and touch everything. This is the best museum for kids and children really are in their own little world learning through play. Read the full review here to see what you’ll get up to. There’s so much to do in Wakefield from free museums with toys, room on the broom trail, Hepworth Gallery (free) and Nostell Priory. Check out all the things to do in Wakefield here. 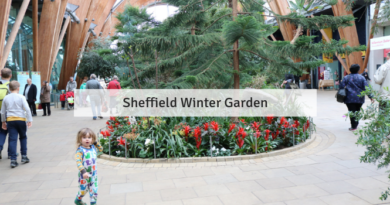 In Sheffield City Centre, take a wander around inside The Millennium Gallery and Sheffield Winter Garden… Sheffield’s own giant greenhouse. It’s really relaxing and great place for a pit stop or indoor picnic. 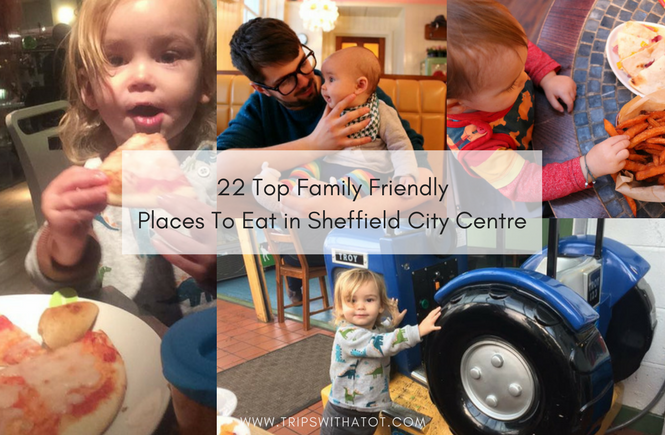 You must discover more of what Sheffield city centre has for kids, too, try this guide to find all the hidden gems including this fantastic playground. If you did, you should read more of my day out recommendations; there’s lots to browse! Why not Make your way through the South Yorkshire For Kids Awards winners!? Don’t miss out on any of my posts by subscribing to my blog; where you’ll always be notified, for free, about my new blog posts so you get a first read. Follow me on Facebook today for daily days out ideas, reviews, top tips and tricks. Thanks for reading!